A Baker's cyst, in some cases, does not cause any pain and may go unnoticed. However, you may experience symptoms such as swelling behind your knee, stiffness behind the knee, slight pain in the knee towards the upper calf (especially when you bend your knee or straighten it completely). Pain can become severe when you flex your knee and when you are active. Sometimes the cyst can tear open and the fluid can drain into the tissues of the lower leg, causing swelling and redness. A Baker's cyst is caused by underlying conditions such as rheumatoid arthritis, osteoarthritis and gout, an injury to the knee, or inflammation of the knee joint. When you present with the above symptoms, your doctor will review your medical history and perform a thorough physical examination of your knee. Further tests such as an ultrasound scan and MRI may be recommended in order confirm the Diagnosis of Baker's cyst. 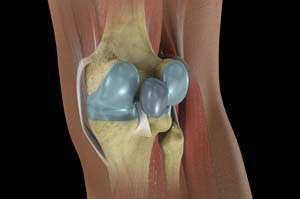 Medications: Your doctor injects corticosteroid medications into your knee to reduce pain. However, this doesn't always prevent reoccurrence of the cyst. Depending on your condition, your doctor will determine the best treatment that will help alleviate your symptoms of a Baker's cyst.